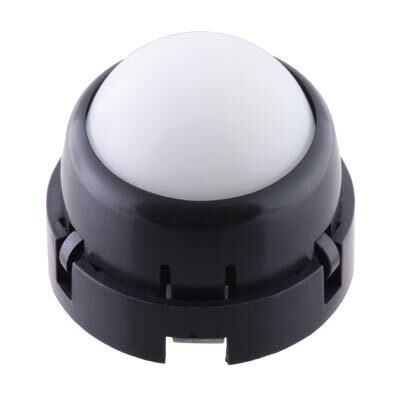 This small, light ball caster uses a 3/8″ diameter plastic ball. 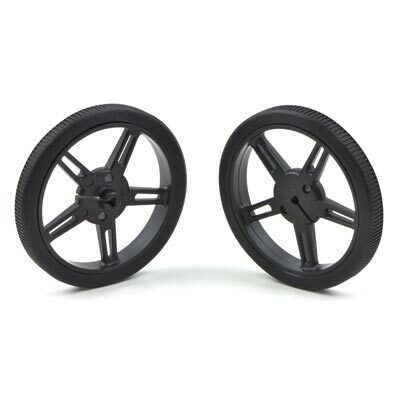 The height of the assembled kit ranges from 0.4″ to 0.6″. 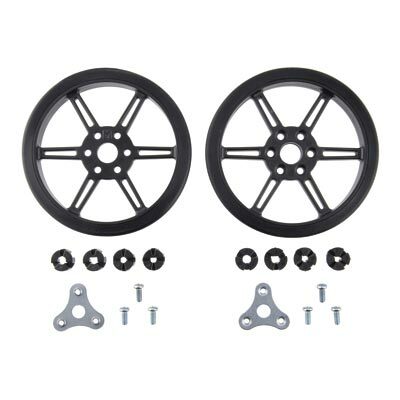 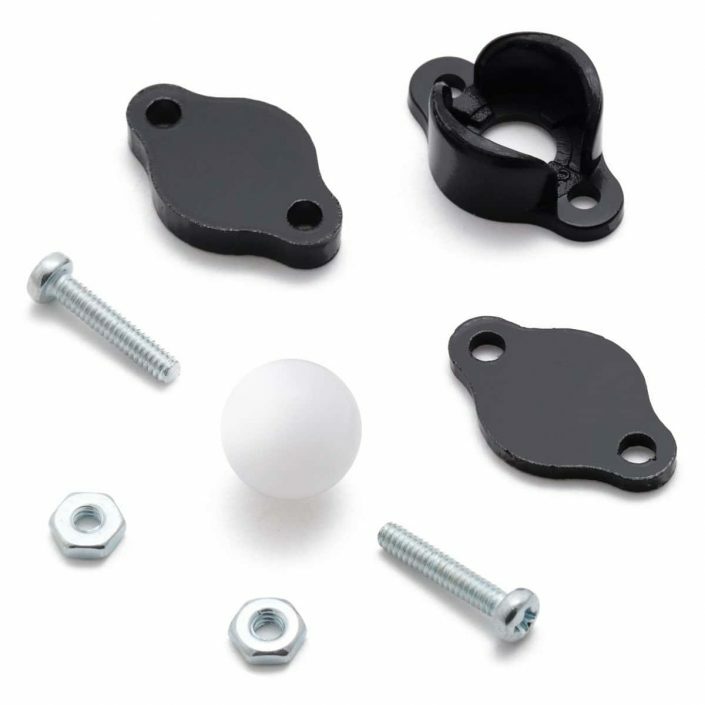 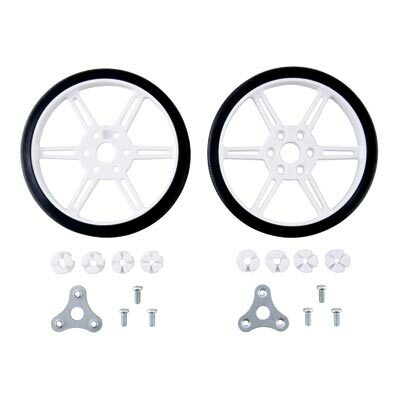 This ball caster kit includes a black ABS housing, a 3/8″ diameter plastic ball, two spacers (1/16″ and 1/8″ thick), and two #2 screw sets. 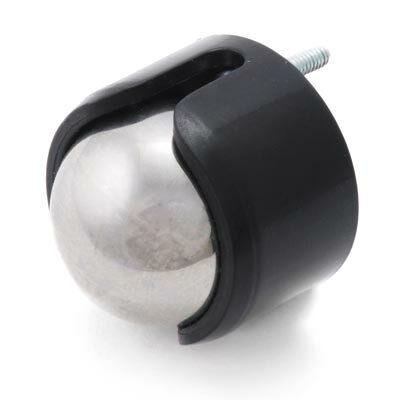 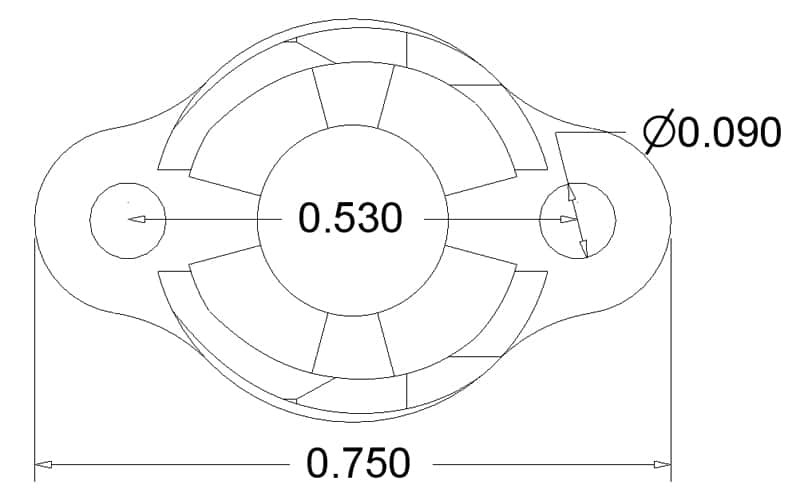 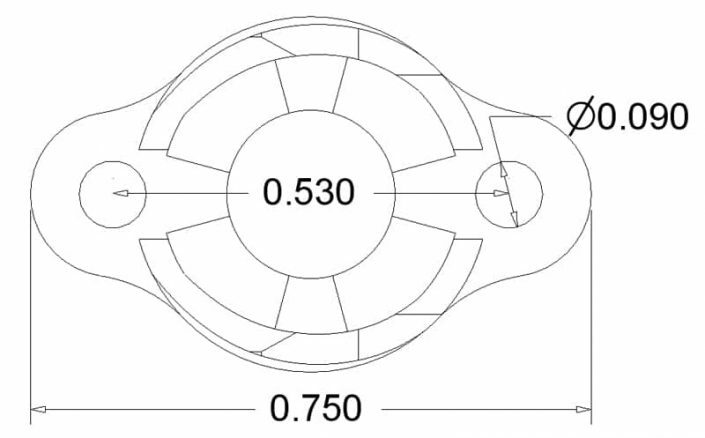 The total height of the ball caster, 0.4″, can be increased to about 0.6″ using the included spacers. 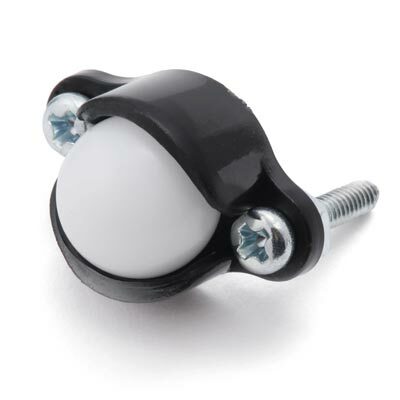 The two included #2 screws can be used to mount the ball caster to your chassis (the distance between the screw holes is 0.53″).